Allen & Heath will be unveiling Qu-16, a brand new compact digital mixer with a professional feature set and an entry-level price tag, packaged in a stylish 19" rack size. 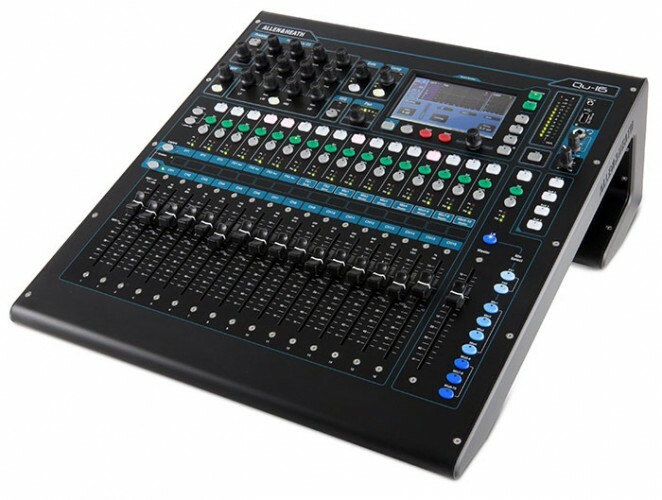 Inheriting technology from the acclaimed GLD and iLive digital mixing systems, Qu-16 features total recall of settings (including 17 motorised faders and digitally controlled preamps), an intuitive Touchscreen, Qu-Drive integrated multi-track recorder, dSNAKE for remote I/O and personal monitoring, multi-channel USB streaming to Mac, Qu-Pad control app, and iLive’s renowned FX library to deliver class-leading audio quality. Launching at Pro Light & Sound, Frankfurt, Qu-16 will be shipping in May. In picture: the new Qu-16 compact digital mixer.